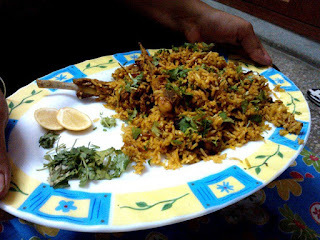 While I am writing this, I can still feel the taste of biryani in my mouth and the aroma. And yeah, how good the aroma is I will tell you by this narrative. Once it was done, I opened the pan, asked my wife to smell it and have a look, she just said ‘yeah its good’. To be honest, I was kind of disappointed because may be she didn’t think much of this preparation. But the moment I penetrated the spatula from sides and turned rice and mutton to mix with top layer, my wife who was about to leave kitchen, stopped, came back and said “WOW”. The glitter in her eyes told me her mouth was watering. 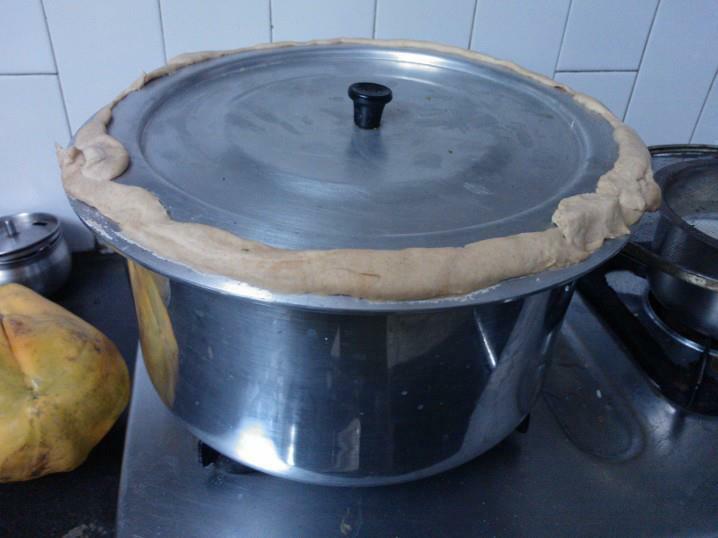 Now you can imagine how aromatic this kind of complex biryani can be. I ain’t saying I am that good, just that the whole complex mixture is so heavenly. I am going to make this again with CHICKEN when my friends come over for dinner next time. And yeah, if you want to know how to make perfect biryani, keep making it daily and you will perfect it someday. J Biryani is such an amalgamation of different flavors! Kacche Gosht ki Dum Biryani recipe.